inMemory+ is the distributed in-memory database that delivers real-time analytics for Big Data. Five or six years ago, analysts working with big datasets made queries and got the results back overnight. The data world was revolutionized a few years ago when other tools made it possible to get the results from queries in minutes. Today analysts demand query results in seconds, near real-time. inMemory+ delivers on those demands. inMemory+ is ideal for heavy workloads, serving the most demanding applications and real-time analytics. It supports OLTP processing with the support of instant data analysis. It provides an uncomplicated environment for users to automatically integrate and access data. Users don’t need to run nightly long jobs to transform the data. With inMemory+ users are able to view their analysis immediately. inMemory+ supports analytics on your live current-to-the-moment operational database, to give you real-time insights into your business. 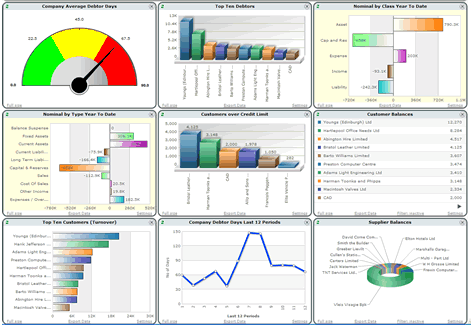 inMemory+ can quickly generate current and up-to-date reports for your business and customers. inMemory+ is built with a distributed and parallel query execution feature that allows it to run fast real-time analytics on a database with massive volumes of data. inMemory+ uses multiple cores on a single node and multiple nodes in parallel to make your analytic queries and reports run faster. The more nodes you add, the faster your analytics.